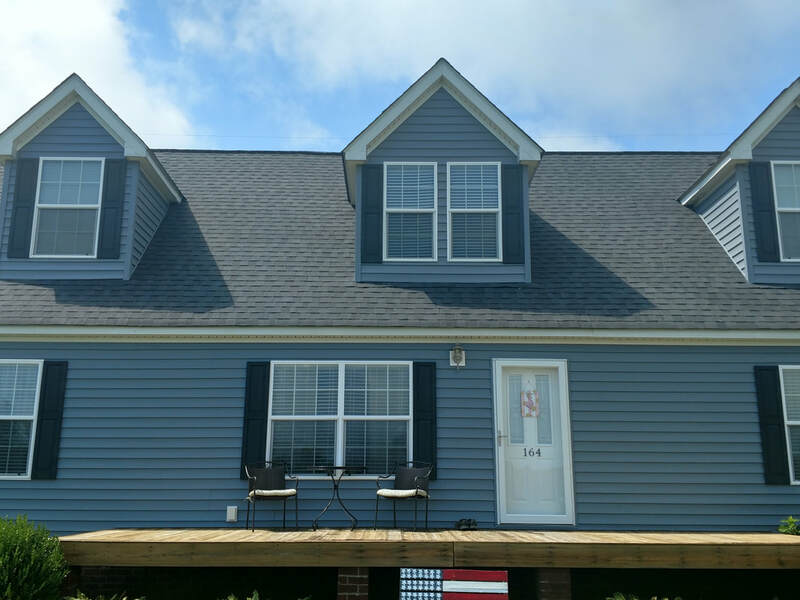 Sifford’s Roofing is the leading roofing contracting company serving Salisbury, NC and the surrounding areas. We believe that the key to making sure your home is visually appealing and guaranteed to last is to keep up with the necessary maintenance needed for your home. Your roof is a vital key in that plan. Our team of professionals know the in-and-outs when it comes to residential roofing, and we want you to trust us in giving your home the care it needs. Making the choice to purchase a home is a very big decision, and Sifford’s Roofing understands how valuable this investment is to you. Whether this is your first home, family home, or a home that you have decided to lease, we want to help make sure that it lasts. Sifford’s trained professionals have the necessary tools to be able to handle your residential roofing needs whatever they may be, in a professional, precise, and timely fashion. The weather can be quite unpredictable in North Carolina. Minor to major winds, thunderstorms, and hail can all cause noticeable and unnoticeable damage to your homes structure. If you are experiencing water leakage in your home and are unsure where it is coming from, then the roof may be the likely cause of it. We can get one of our trained specialists out to your home in no time to put your mind at ease and provide a definite answer for you. It is best to stay on top of your roofing needs as a minor roof repair can turn into a full roof replacement if it is not handled correctly in its initial phase. Sifford’s Roofing understands that a full roof replacement can be a daunting task, as well as a costly one. At some point, the task of a minor repair or a simple patch is not going to do the trick for your residential structure. A full roof replacement can be what saves your home’s value and making sure it reaches it life expectancy. Our roof replacement service is one that you can count on. Give us a call today to discuss the options that are available to you for your full roof replacement today. Whether your residential roof undergoes a minor repair or a full scale replacement, as well as depending on the materials that were chosen to complete the project, the guarantee of your roof’s longevity is dependent on quality maintenance and routine check-up services. Sifford’s Roofing is available to provide your home with the necessary maintenance checks to help ensure your roof meets its life expectancy. We understand that keeping up with your roof needs as well as inspection and maintenance can be time consuming, and is sometimes at the bottom of a to-do list. Sifford’s Roofing can put you on an annual or biannual schedule. Sifford’s can have someone sent out to your home for maintenance without you having the headache of trying to keep up with the services your home needs. With our hands-on approach, we make sure you are in the know of what is going on with your property from the consultation phase through to the roof repair completion. Customer satisfaction is of utmost importance, and Sifford’s Roofing believes that satisfaction comes with understanding the project needs. That is why our roofing professionals are dedicated to being completely available to you through each step of the process. Give us a call today to have a brief discussion about the roofing requirements your home may need. Sifford’s Roofing is available to handle your residential roof repair, replacement, maintenance and inspection needs today!